Gone are the days when you could simply put up a website and expect people to come. There are well over one billion websites on the Internet with more being established every day. So how do you stand out? How do you get found? There are many marketing strategies and tactics you can use to promote your website, but the best way to start is with the pages that already exist. Every entrepreneur and business should practice basic Search Engine Optimization (SEO) tactics before publishing a blog post or a new web page. 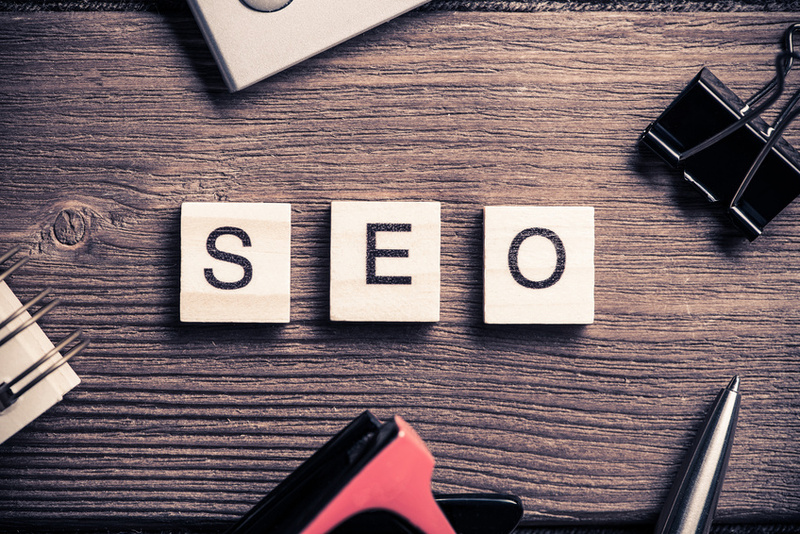 There are eight SEO best practices every entrepreneur must know. Every web page that exists has several key areas that search engines evaluate in order to determine where you will show up in search results. Depending on your website platform, all or at least some of these elements are within your control. Implementing them every time you publish a new page on your site will certainly increase your online traffic overall. This article will teach you what those elements are and how to make sure you are optimizing each page for search engines. In code, a header tag is designated by an “H1”, but you can think of it as the title of your web page. There should only be one set of H1 tags on each page, any more and search engines will get confused. Search engines look to this to determine what your page is all about. So if your page title is “About Us”, well, you’re really `not telling the search engines what you are all about. A better header would look something like “Our Digital Marketing Services”. Ideally, your header tag for that page should contain the one keyword or phrase you are focused on for that page. In this case, if “Digital Marketing Services” is your focus, having it in the title is a great place to start. Let’s do a little hands-on learning here. Hover your mouse cursor over one of the tabs in your browser. Do you see the text pop up describing what is contained on that page? This is the page title and is called a title tag. This is another element search engines look for when evaluating your page to determine when and how it should come up in search results. Continuing with the example above, a good title tag would look like this: Our Digital Marketing Services | INFUSEALLY. You can change up the text a bit but it should always contain your focus keyword or phrase for that page. Ok, show of hands, who is guilty of publishing blog posts or pages without images? How about publishing images with generic filenames such as “IMG_1234567.jpg”? First of all, EVERY page on your website should include at least one image. If not, you are short-changing yourself in a number of areas. First, you are missing the visual element that helps people digest your content. Second, your page will lack the visual element that attracts people to your content when promoting through social media. Even more than that however, you are also missing out on a crucial SEO element. Yes, search engines look to image file names to determine the content of your page. So the absence of an image means a missing core element in your SEO ranking. Instead, make sure to use an image (that you have the right to publish I might add), and use SEO best practices to rename it to contain your focus keyword or phrase. If you’re doing the right thing with the title of your page, your image file name can simply be the same as your title. Use hyphens in place of spaces as you rename your images so search engines can read them better. You got it, the alt text associated with your image is important too. Not only will this text show up if someone has slow loading images, or has the images turned off on their browser, but search engines look to these as well. Again, and not to sound like a broken record here, make sure the alt text on your image includes your focus keyword or phrase. This again can be as easy as putting the title of your page in the image alt text. You have a little less control over anchor text but it is still very relevant to search engines. Anchor text includes any text on the web that is linked back to a page on your site. Obviously you can’t control what the rest of cyberspace is doing, but there are things you can control. For example, when you are linking text from one page to another on your site, make sure the text you are linking is relevant to the destination page. When applying SEO best practices to your anchor text, a link of “click here” in text that reads “click here to learn more about our digital marketing services,” would instead link the entire sentence. Again, make sure the text you link includes your keyword or phrase. As we learned earlier, “click here” does not mean anything to search engines, but “digital marketing services” helps them know what the page is about. As external websites link to your pages, do what you can to encourage them to provide links to your pages that include your keywords. Some webmasters will be willing to accommodate, so ask when you can but don’t stress too much about the rest. Let’s do another hands-on project. Open up your favorite search engine and type in “Best places to eat in Denver”. Do you see the list of options that come up? Scroll down and you will see a list of titles, URLs and descriptions below them. Those descriptions are what you are after here. They are called meta descriptions, are typically within your control to change, and SHOULD be specified using SEO best practices. Most search engines only allow up to 160 characters, so be succinct but descriptive, and of course, include your focus keyword or phrase. Think of this as a mini advertisement for a particular page on your website. If you don’t specify something, search engines will grab whatever text they can find. The default text is not typically a good description of what your page is about. Your URL for each page is also very important to search engines. Ideally, this needs to be established correctly the first time you publish the page. If you try to change your URL later without redirecting your page to the new URL, you will end up with broken links out there in cyberspace. If you can help it, never break a link that another site has put up directing others to you. Even if you redirect your page so you won’t have a broken link, you will lose some value in the SEO world. For these reasons and more, make sure you establish the right URL the first time around. I’m sure you can expect what I’m going to say next: make sure your URL contains your focus keyword or phrase. Finally, and most importantly, the content on your web page should include the keyword or phrase you are targeting. What you don’t want to do is stuff your keyword or phrase in haphazardly just to be ranked higher. In fact, doing so may actually put you on the search engines’ black list and you won’t show up at all. Instead, use SEO best practices and aim to find 5-6 natural places to insert your keyword or phrase within the content of your page. For example, the phrase I’m targeting on this page is “SEO best practices”. See how many times you can count it in this post. You’ll notice that it is present but not overwhelming. If you can include your keyword or phrase in a subhead, even better! Just make sure your content is focused on providing information around the keyword or phrase you have chosen. If it is, you will be able to find many natural ways to include it in the content of your page. So let’s summarize: Search engines value informational content, that has been optimized in a way that they can easily categorize, but they also value quantity. The more pages your website contains with similar, valuable information, the greater ranking you’ll receive from search engines. The higher search engines rank you, the more people will be directed to your content when they perform a search online. 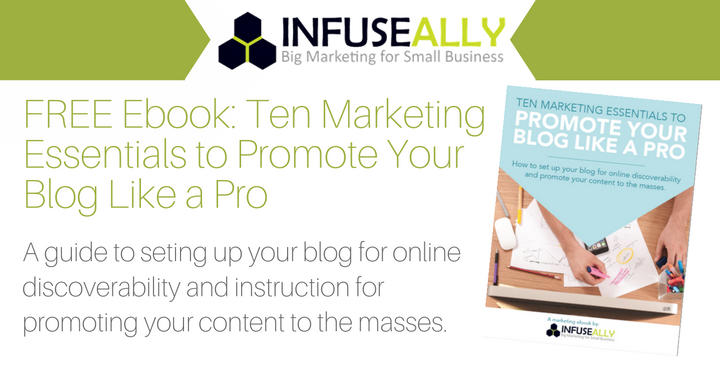 For help setting up your blog posts for optimal online discoverability and instruction for how to promote them, download our free ebook: Ten Marketing Essentials to Promote Your Blog Like a Pro. This entry was posted in Content Marketing, Marketing Strategy, Marketing Training, Online Marketing, SEO and tagged inbound marketing strategy, online marketing, search engine optimization. Bookmark the permalink.